Striders registered their maiden Crest Na Iri Women’s Championship after they went on to defeat Hong Kong 19-12 in the final at Lawaqa Park. Striders entered the final after beating Japan 29-7 in the semi-final and had to lock horns in the final with another international team Hong Kong, who completed a thrilling 19-17 win over USA in the other semi-final. 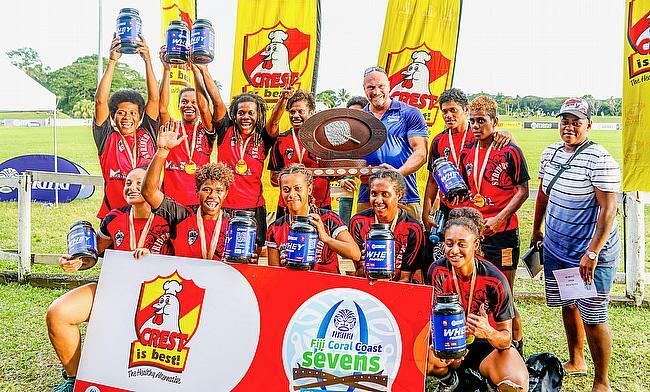 Player of the tournament, Talica Vodo, expressed her delight as the Striders went on to clinch the title in what was their sixth attempt in the Fiji Coral Coast Sevens. “We are really proud because our aim was to finish in the top five to improve on our standard last year but we’re really happy we managed to win the tournament this year,” she said. “It’s the first time some of them are playing in this type of big tournament so I’m really proud of everyone. Meanwhile, Hong Kong Women's head coach Kevin West believes the experience will benefit their team as they strive for further improvement. “One of the things we struggle with is we have a lot of Asian competition. To have to face different teams and have to adapt to the way different teams play and adapt our style, is a great challenge for us,” he said. The opening day of the men's competition saw First Light Taveuni, Ratu Filise and Wardens impress while Hong Kong finished without a victory.